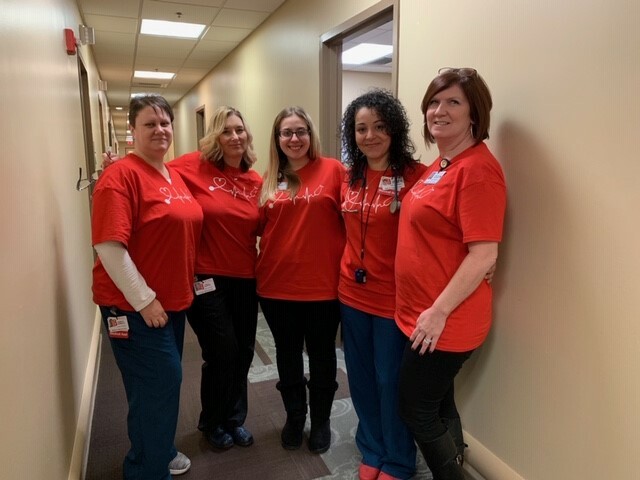 Our Cooper Team helped spread awareness about the importance of heart health during Wear Red Day on Friday, February 1, 2019. 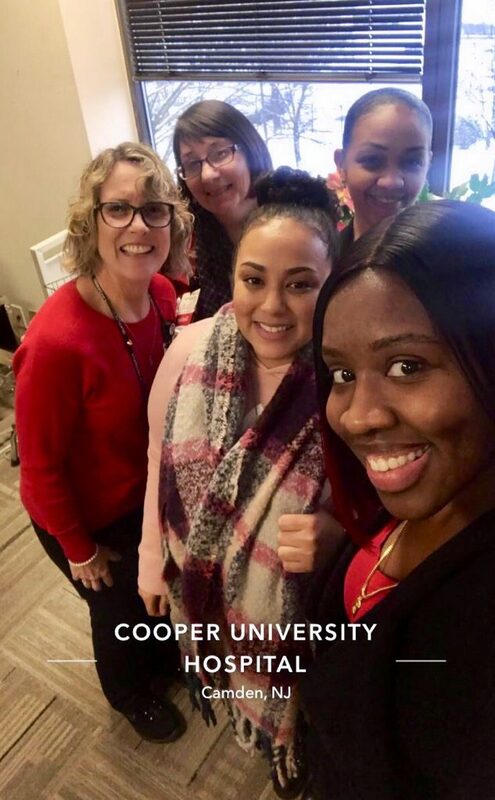 Here are a few photos from around the Cooper offices! 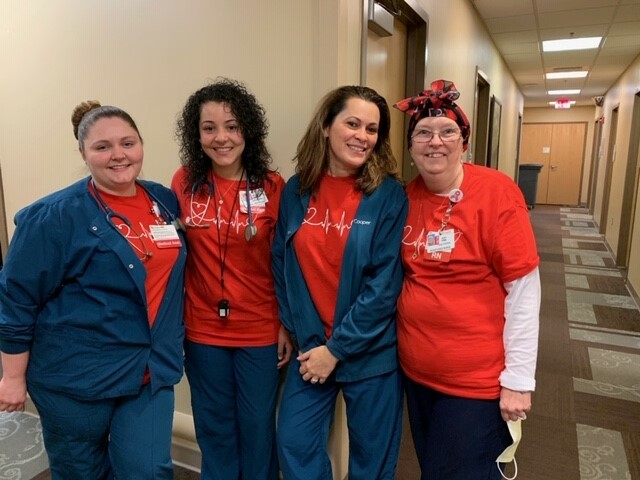 Thank you to Rebecca Smith for submitting this photo of the Adult Health Institute team in red. 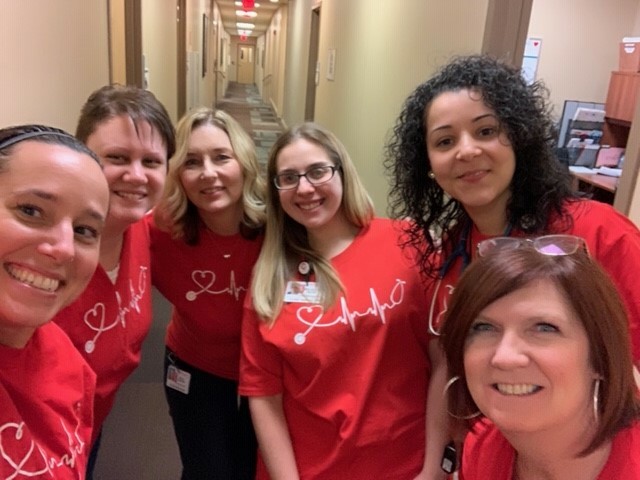 From left to right: Rebecca Smith, Sue Kreh, Diane Winkler, April Posley, Mary Ann DeGirolamo (kneeling), Nancy Loperfido, Serena Mayer, and Jerri Flippen. 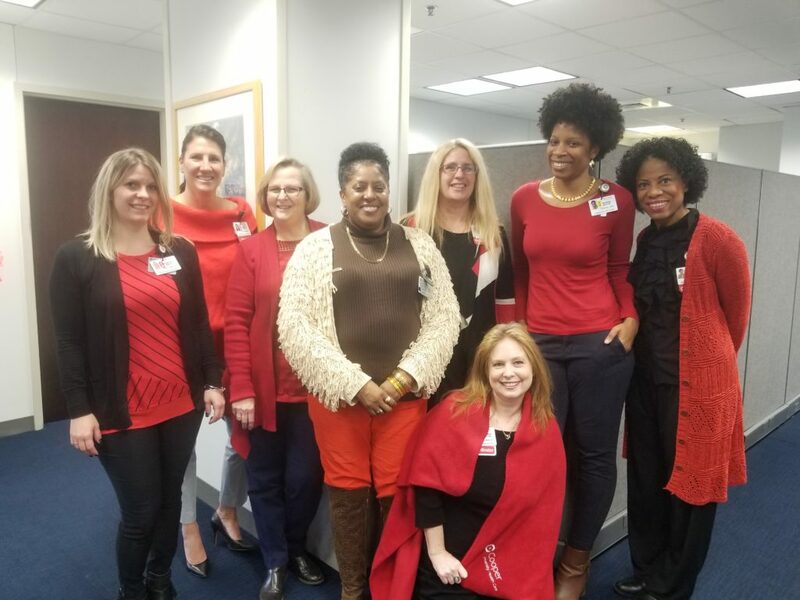 Cooper Child Life Services is wearing their red! 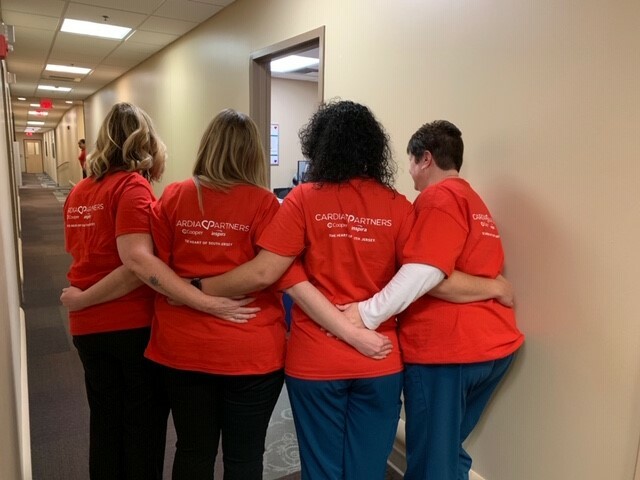 Thank you for sharing this photo with us, Brittany! 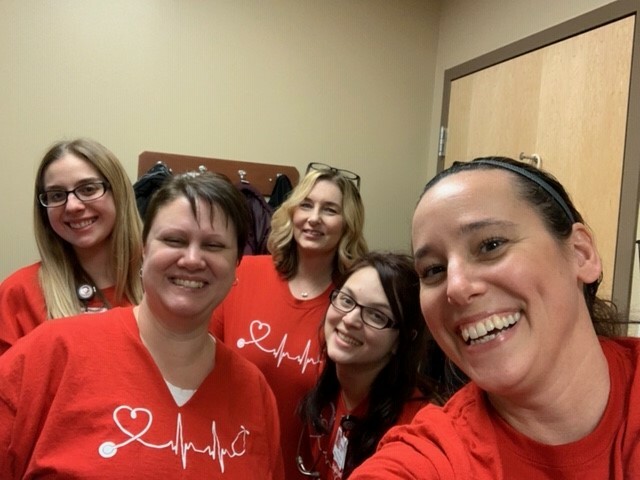 From left to right: Brittany Spaeth, Kristina McGowan, Jessica Johnson, Jennifer Schmidt, and Hannah Heffner. 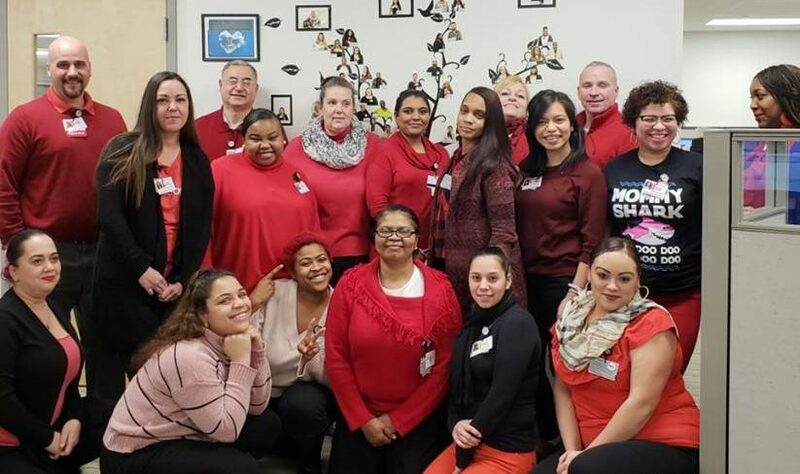 Our Urban Health Institute Cooper Advanced Care Center team in Suite 215 shared this awesome group photo with us! 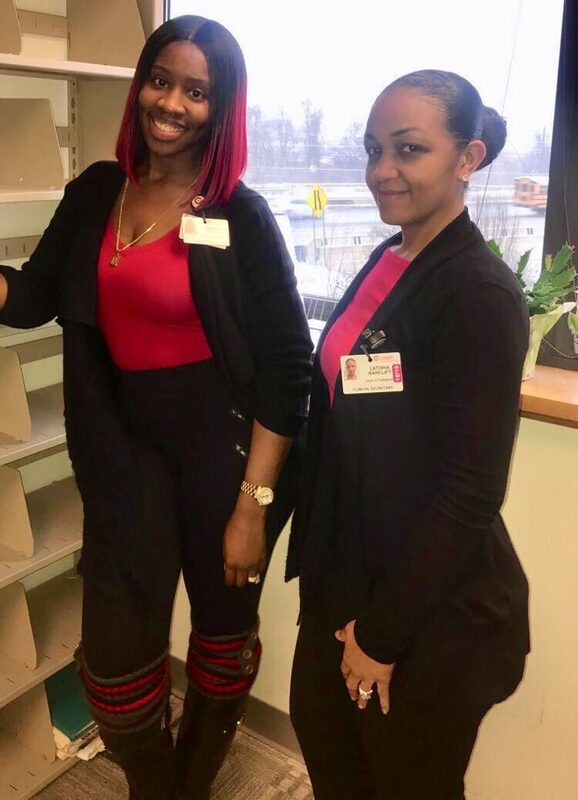 Photo by Ebony Harris, MA; shared by Rosalin Baez. 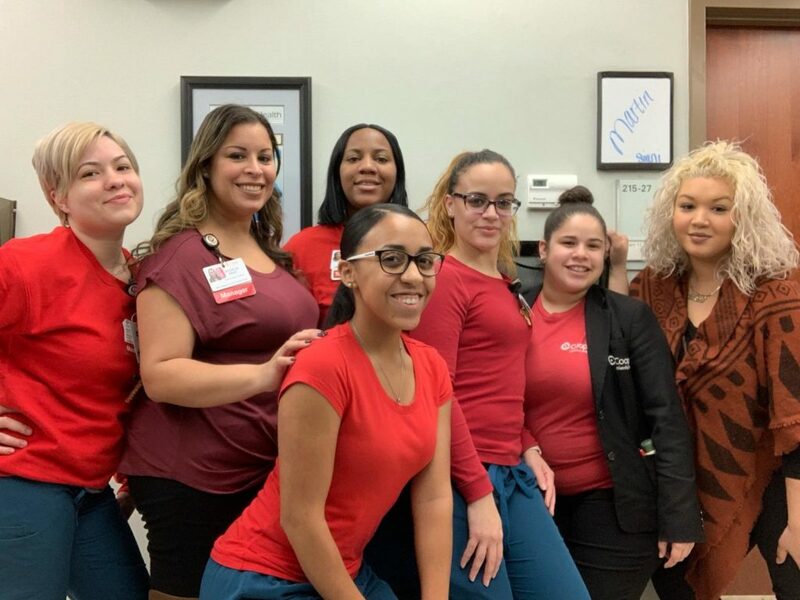 Pictured left to right: Elise Ubarry, Rosalin Baez, Waniesha Goldston, Isamary Marte, Emily Peralta, Lindsey Bisono, and Siani Carrion (front center). 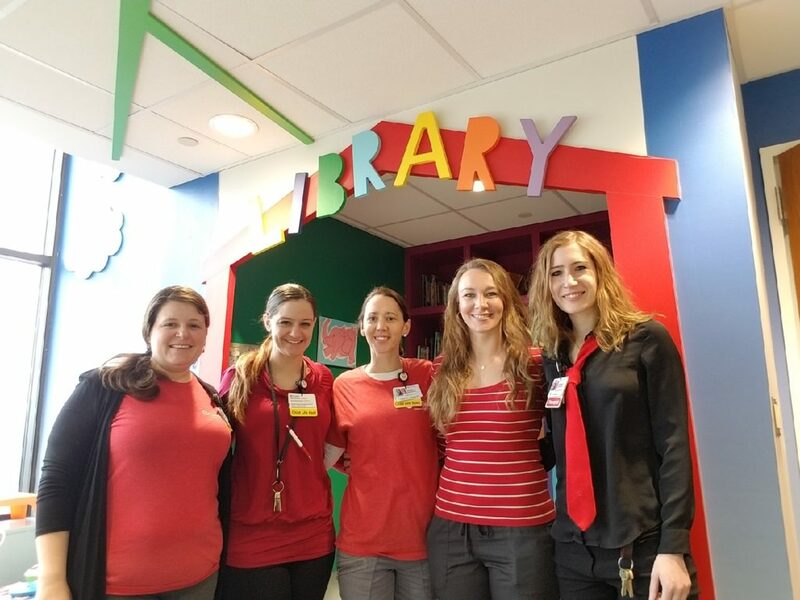 Thank you Samiyah Scott for these great photos from the Pediatric Neurology team in Sheridan Pavilion! 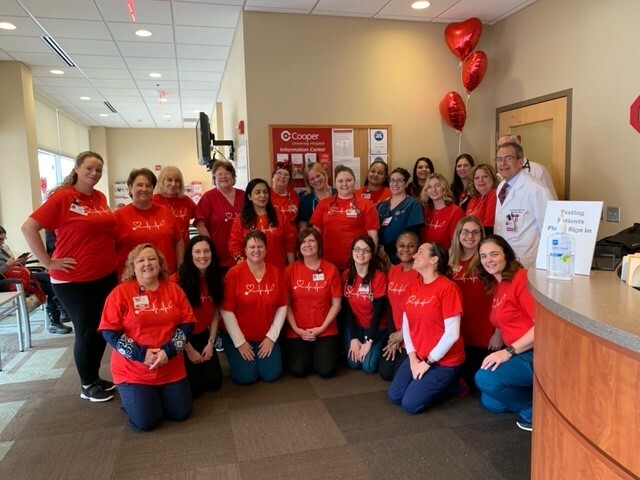 Abby Robenault sent in this wonderful group photo of the Ambulatory Operations Cooper Urogynecology team supporting Heart Health Awareness! 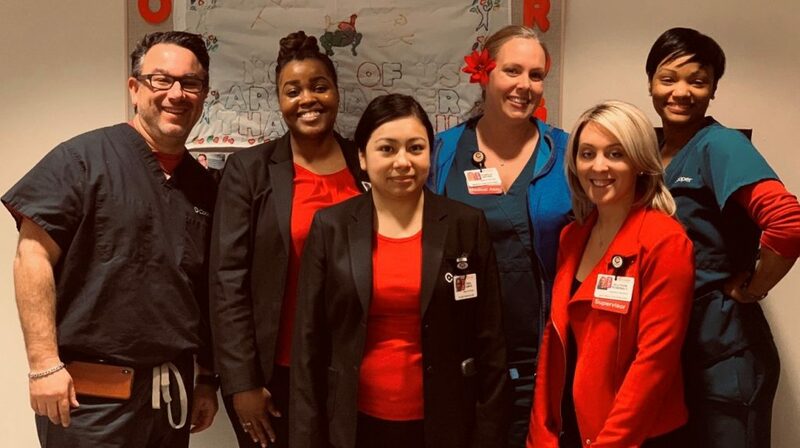 Thanks, Abby! 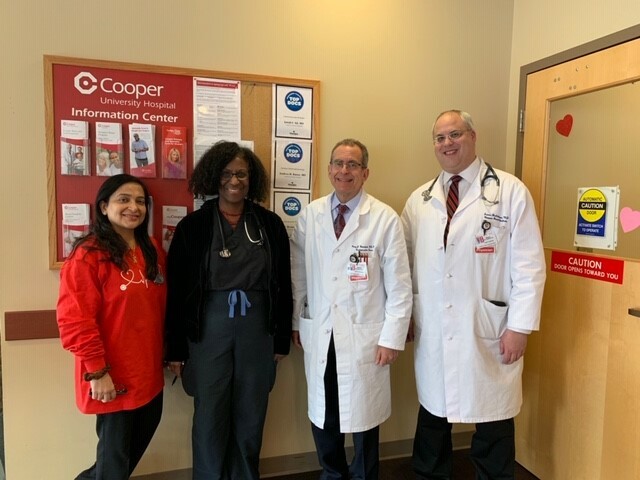 This is a great selection from our Cooper Heart Institute team in Voorhees! 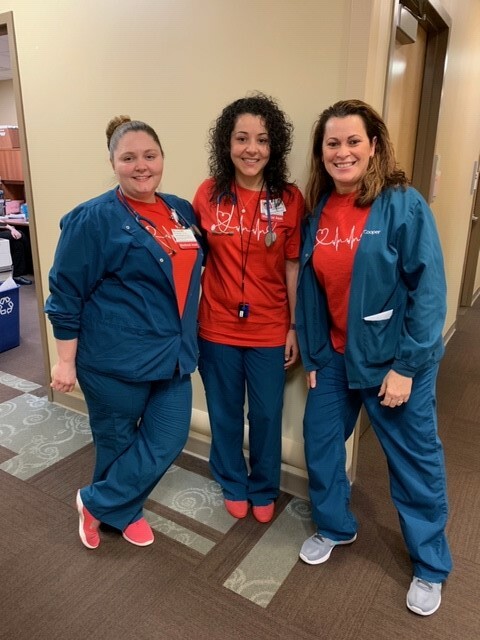 Thank you to everyone who helped share the message of heart health with our patients and guests today!